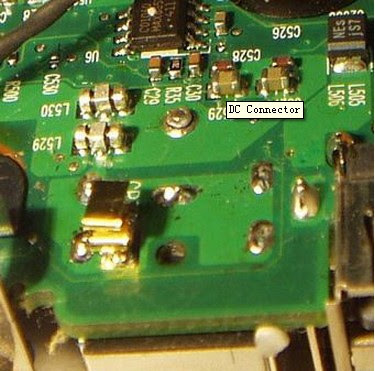 A common weak spot on most laptops is the DC power jack. If someone trips on the wire while you have the power adaptor plugged into your laptop, chances are that the power jack will get damaged. The battery is not charging properly or stays at half charge despite that you have been using the power adaptor. All of these symptoms are caused by poor contact between the DC power jack and the motherboard. There are several models of laptops that are resistant to this problem. All older Dell laptops that use the three pin DC power jack are usually not affected, probably because the power cord pops out easier. Also some older Sony Vaio models, and 1-2 Toshiba models where the DC jack is attached to the case away from the motherboard and all new Apple laptops, where the DC power cord is magnetically attached to prevent any damage to the laptop if someone trips on it. If your laptop shuts down abruptly (looses power), find a repair shop that can resolder or change the DC power jack as soon as possible, as the motherboard has already started to burn around the dislodged pins. Some repair shops will offer to replace the whole motherboard, however the price of a new motherboard together with the labour charge for installing it will usually be greater than the current value of your laptop and can go well over a thousand dollars. Replacing or re-soldering the DC power jack is not an easy job too. It usually takes two to three hours depending on the damage and the model of the laptop. To reach the power jack, the laptop has to be completely disassembled and the motherboard taken out. Then if the board around the dislodged pin is badly burned, the power jack has to be un-soldered and the board has to be patched. After that a different power jack has to be installed, attached to the case of the laptop and connected with wires to the motherboard, as the patched board wouldn’t be strong enough to support the original type of power jack that was soldered directly to the board.